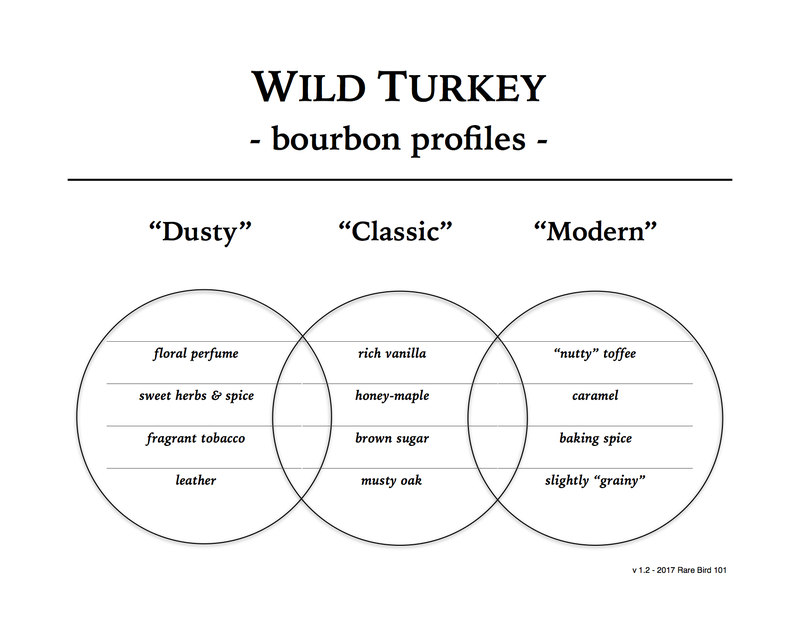 Generally speaking, Wild Turkey Kentucky Spirit is more akin to Wild Turkey 101, at least in proof and punch. That said, profile variance sets them apart, as Kentucky Spirit ranges anywhere from sweet & fruity, to slightly dry & tannic (rickhouse and barrel depending). Alternatively, Russell’s Reserve Single Barrel offers an altogether different sipping experience – arguably with even more variance (again, rickhouse and barrel depending). At 110 proof and non-chill filtered, Russell’s Reserve Single Barrel gets you closer to a “straight from the barrel” experience, and with that, added strength and complexity. Does that mean that Russell’s Reserve Single Barrel is always better than Wild Turkey Kentucky Spirit? Well, that’s an excellent question. I’ve contemplated doing a comparison like this before. The thing is, I’ve yet to find an ideal Kentucky Spirit and Russell’s Reserve Single Barrel to face off side by side. There’s just so many factors to consider: age, date, rickhouse, floor, etc. Sure, I could grab any garden-variety bottle of each, but I don’t believe that would prove near as interesting as comparing two bottles selected by the same store within the same calendar year. Even if you matched rickhouse and floor, that would only illustrate differences in specs. On the other hand, comparing two expressions selected by the same group, well that might just illustrate how each expression can shine in its own right. Enter Elixir Spirits of Spring Hill, Tennessee. Elixir Spirits is no stranger to private barrel selections – certainly no stranger to Wild Turkey either. In fact, you’ve probably seen pictures or read reviews of their barrel picks on various social media outlets. Until recently, I’d never experienced one of their selections. I’m now working on two. And not to spoil the reviews to follow, but things ended up a little differently than I’d imagined. Perhaps some perspective and reference is in order? Let’s give these whiskeys their due tastings and I think you’ll understand where I’m coming from. Overall: This may be my favorite Kentucky Spirit of 2018. It all started with a sample from a friend (thank you, Steven) – a sample that impressed me enough to track down a bottle for myself. Having tasted a good many barrels from Wild Turkey Camp Nelson rickhouses, some at barrel strength and others as 110-proof Russell’s Reserve Single Barrel releases, I wasn’t expecting much from a 101-proof offering. Boy, was I wrong! “No Dressing Necessary” is distinctly flavorful, uniquely balanced, and most importantly, a notable sidestep from the typical Wild Turkey Kentucky Spirit (a la WT 101) profile. Its sweet and spicy phases are an interesting alternating feature. You get heavy doses of syrupy sweet notes, followed by drier spicy notes, and then back and forth they go. It may not be the best modern Kentucky Spirit I’ve had to date, but it’s pretty damn close. Nice job Elixir! Overall: As many of you know by now, I’m a huge fan of bourbon aged at Tyrone rickhouse B. So much so, that if I see a “B” on a Russell’s Reserve private selection tag, a purchase is likely. When I first laid eyes on Elixir Spirit’s “The Real King of Kentucky” I was impressed. Not only is it a rickhouse B pick, but it has one of the most creative custom stickers I’ve seen all year. The caricature of Jimmy Russell on his one-of-a-kind Wild Turkey scooter is undeniably humorous, yet at the same time it serves as a light-hearted tribute to the legend himself. But specs and stickers only do so much to satisfy the senses. The true test of a whiskey is how it sips. The Real King of Kentucky is an excellent example of how deliciously sweet a bourbon can be. Fruity vanilla, candy apple, bubblegum, soda pop, the list of sugary notes are seemingly endless. But just when you think it’s edging close to cloying, the finish delivers a nice dollop of oak char laced with dry spice and leather. It’s not a defining feature of this whiskey, but the finish plays a critical role in keeping it balanced. All things considered it’s a high-quality Russell’s Reserve private selection, but outside of its intense sweetness there’s not much left to help it stand out over this year’s robust, multi-layered barrel selects. In summary: I don’t quite know how to say this, as it may seem a little illogical, but given the choice of the two I’d take No Dressing Necessary (WTKS) over The Real King of Kentucky (RRSiB). Yes, if you weigh my scores Elixir’s Russell’s Reserve is clearly the victor. So why opt for the Kentucky Spirit? Simple. It’s curiously unique. While The Real King of Kentucky may be a fantastic Russell’s Reserve Single Barrel, I have several others like it in my cabinet. A tasty bourbon, no doubt, but nothing that says “you won’t find anything like this everyday.” No Dressing Necessary, on the other hand, stands on a precipice of its own. In fact, it makes me wonder if Camp Nelson F barrels might often shine brighter as Kentucky Spirit releases. I realize that proposal can’t hold a single drop of water based on a limited tasting experience – but – I wonder nevertheless. It’ll be fascinating to see how 2019 plays out. I’m hoping we’ll find more Tyrone rickhouse B and Camp Nelson F barrels in the private selection program. I’d particularly like to see more Camp Nelson barrels bottled as Kentucky Spirit releases (for science, of course). Regardless of what’s in store, we’ll enjoy the bounty we have now and know that potentially greater things await us in the coming year. Cheers and Happy New Year! Interesting conjectures! I’m curious also about Camp Nelson barrels in Kentucky Spirit. I picked up a bottle last week, after a years of not buying any, and liked it a lot. It was the type you described as on the sweet side. It as I think you suggested reminds me of an old (in years, not date of distillation) 101. And with that bottle it’s a great gift! So the WTKS you picked up was from Camp Nelson as well? Glad to hear it was a nice barrel/bottle regardless. Cheers!